What is CNEWA? 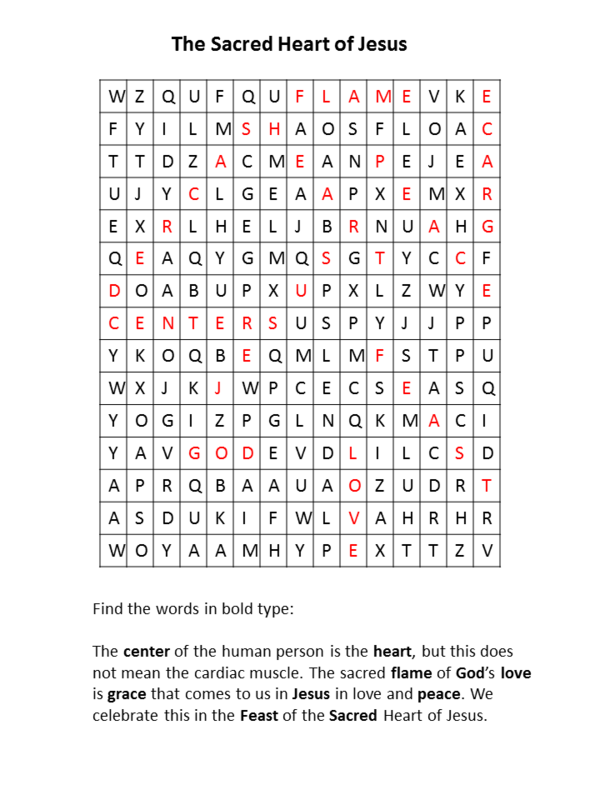 Help for Christians in need. The Catholic Near East Welfare Association (CNEWA) was founded by Pope Pius XI in 1926 to provide support for the Eastern Churches. The geographic area of service has expanded from its original focus on Greece and Eastern Europe to include the Middle East, North East Africa, and India as well. CNEWA works with and through Eastern Churches to share the love of Christ as needs for assistance are identified and solutions implemented. Current efforts include support for refugees and Christian communities in the Middle East. Pope Francis' most recent encyclical, Laudato Si', has just been released. 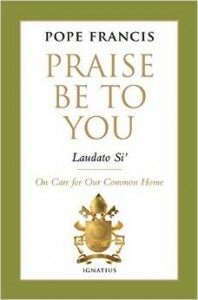 Praise be to You, Laudato Si': On Care for Our Common Home is more than a simple argument in favor of environmental causes. It is a new contribution to the stream of Catholic social teaching -- addressing economics, politics, human rights, poverty, issues related to the environment, and more. This document will be studied and discussed in great detail in the coming weeks and months. For now, we welcome it and look forward to the discussion. Artist Joseph Fanelli began painting at the age of eleven. In his career he has specialized in painting portraits and floral arrangements. His painting of The Sacred Heart of Jesus was done for the chapel in his mother's home. 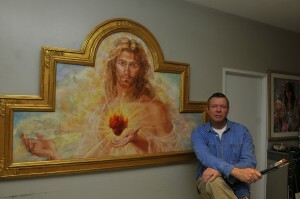 He says that he normally remembers every stroke of his paintings but this was not true of the Sacred Heart. He looks at and knows that he did it but doesn't remember it in detail and feels that it was inspired in the creative sense. Sr. Laurel O'Neal, Er. Dio. of Stillsong Hermitage speaks of the Sacred Heart using the image of earthen vessels - broken a, healed, and transfigured - through which the union of divine and human shine forth. 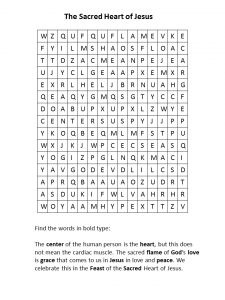 She writes, "The human heart ... is a dialogical event where God speaks, calls, breathes, and sings us into existence, and where ... we respond to become the people we are and ... are called to be." 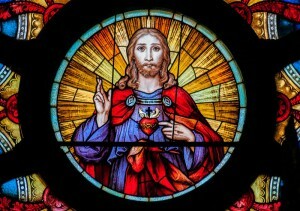 Ask Theologika: Why a Devotion to the Sacred Heart? 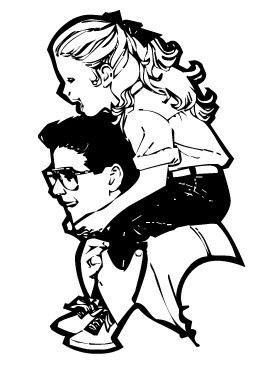 Unfortunately, many people don’t experience unconditional love when they are growing up. Sometimes they grow up with a notion of God as a stern, judgmental parent. They get caught up in the question of whether God is all loving or all just. They haven’t been taught that no one can be just without being loving. Papa Francisco celebró la Misa para el Tercer Retiro Mundial de Sacerdotes el 12 de Junio de 2015, la Fiesta del Sagrado Corazón. En su homilía a los sacerdotes les habló de la ternura de Dios: una ternura como la de un padre o una madre que enseña a su criatura a caminar. Una ternura que ata en la libertad a su pueblo, atrayéndolo «con lazos de amor, con ataduras de amor». General Intention: That immigrants and refugees may find welcome and respect in the countries to which they come. 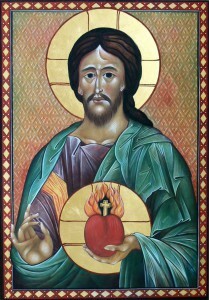 The Feast of the Sacred Heart is celebrated 19 days after Pentecost each year. It is always on a Friday. 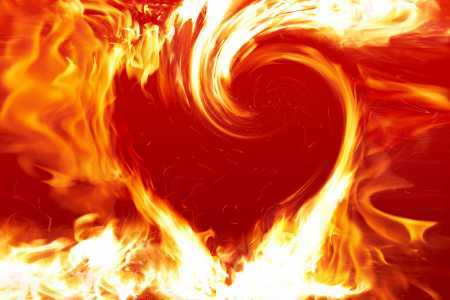 Devotion to the Sacred Heart began to develop in the Middle Ages, but it was considered a private devotion, not a specific feast day. 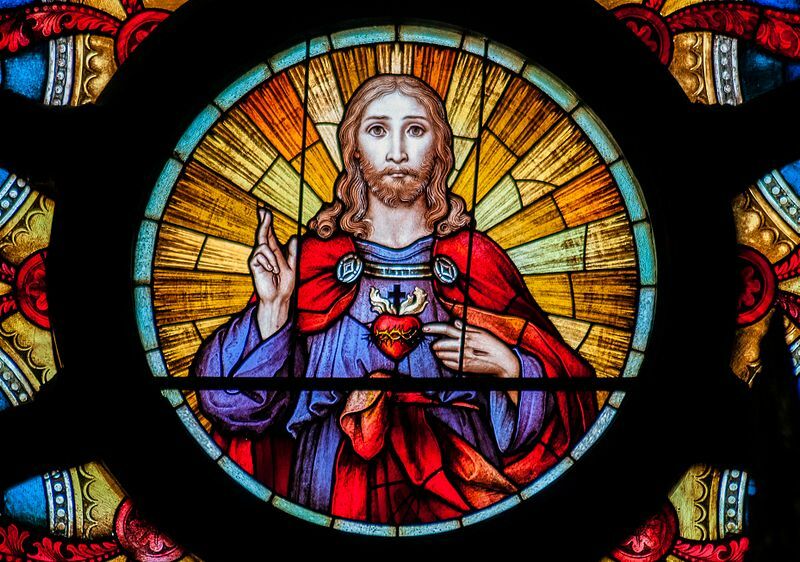 In Catholic culture, devotion to the Sacred Heart of Jesus has become so widespread that the image has become an icon of Catholicism. 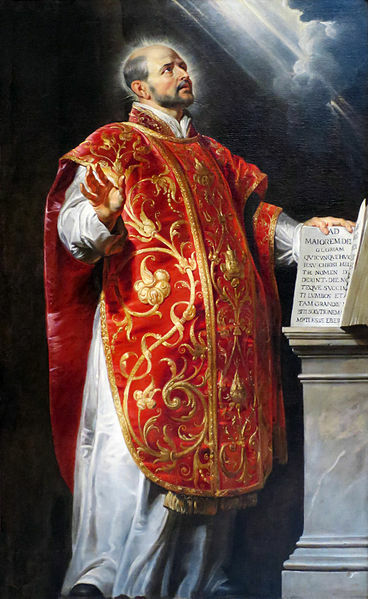 Why is this image so central to the modern or post 1500s Catholic imagination? 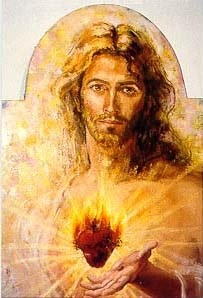 Devotion to the Sacred Heart of Jesus originated as a meditation on the love that Jesus has for humanity. 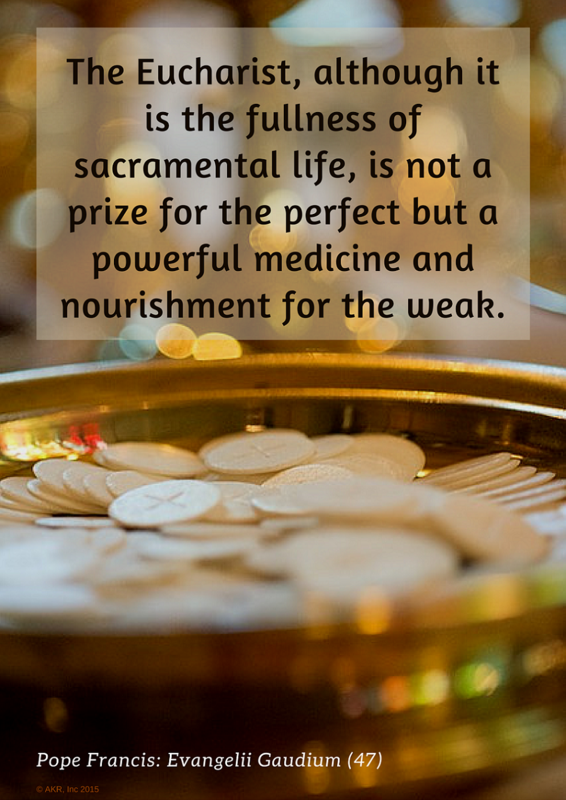 In the 1500s, Jesuits and Franciscans promoted devotion to the wounded heart of Jesus. However, they did not stress the physical bleeding heart of Jesus crowned with thorns that has come down to us. Try your hand at this puzzle. To You, O Lord, I return it. for this is enough for me. 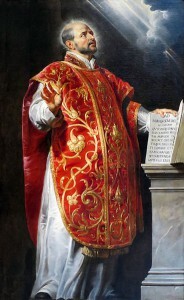 St. Ignatius of Loyola leads us into the Divine Presence. Susan T. Mahan, PhD, "The Sacred Heart of Jesus: Source of Limitless Love"
For a downloadable Printer Ready version of this issue, click here. 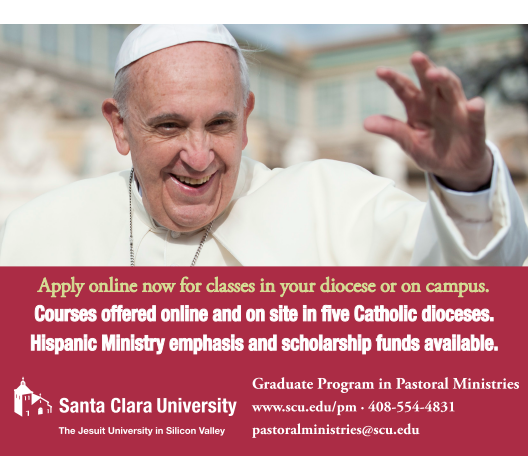 To use this for your worshiping community, please contact us. Puzzle solution needed? Check here. Please visit our store, send your gift of support, and support our advertisers who help make this work possible. We appreciate your help.